The website labels the skillset required as easy to medium, but truly it leans much closer to easy. 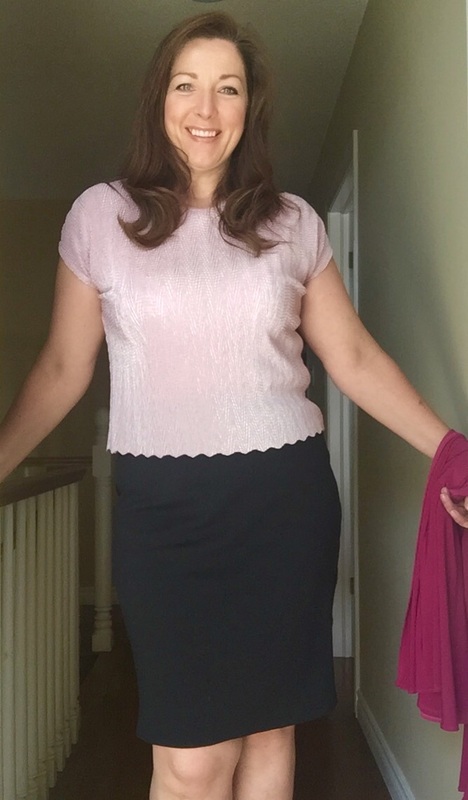 Because I am impatient and did not wish to wait for the pattern to be mailed, I opted for the downloadable version from the Style Arc Etsy site which you can find here. 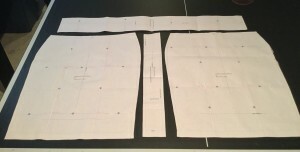 Although I am not a fan of the trimming and taping that goes along with the downloadable format, the Ursula skirt is relatively simple and didn’t take up too much time. I set up shop on my kitchen island and listened to the TV in the family room while I put this all together. You just cannot beat instant gratification. The pattern goes together in a snap. 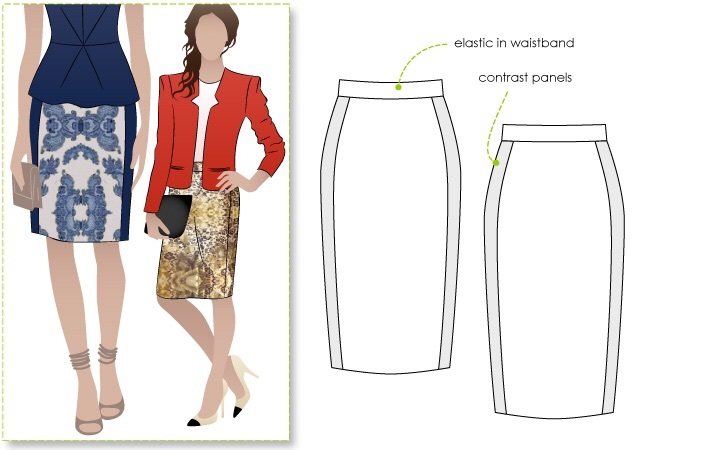 You have a front and a back panel, two side panels which you can use to add some contrast to your skirt and a waistband to which you insert a wide width elastic. Cutting and pasting aside, it was all sewn up in the course of an evening. And because I had enough in my stash, I was able to piece together a second Ursula skirt in solid black ponte. It is quite form fitting. It has been a while since I have worn something that hugs like this and it took a bit of time before I relaxed and felt comfortable. Tissue fit for length before you cut. 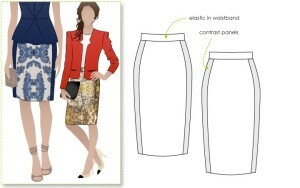 I did not do this and the skirt runs a little shorter than I would prefer. My issue, not the pattern. Normally, I steer clear of things with an elastic waistband as you can get that cinched, bunchy look that is not at all flattering. 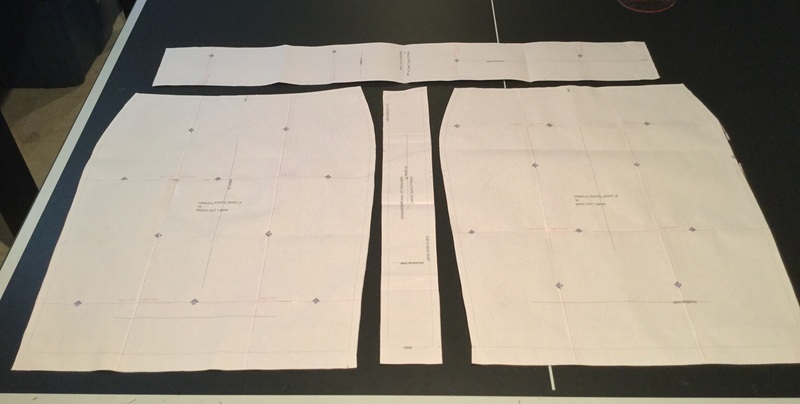 The Ursula however, calls for a wide width elastic that doesn’t get overly stretched out during sewing, which eliminates the pinching and gives a smoother look to the waist. Pull on and you’re dressed. It doesn’t get much better than that. If time permits between other projects I have on deck, this may get made again in a summery print and colour. I will however add an inch or two to the length in any future versions to have it land atop my kneecap rather than above. Again, that is not a pattern issue; rather it is simply a personal preference. I see more Style Arc in my future. This was a great start! 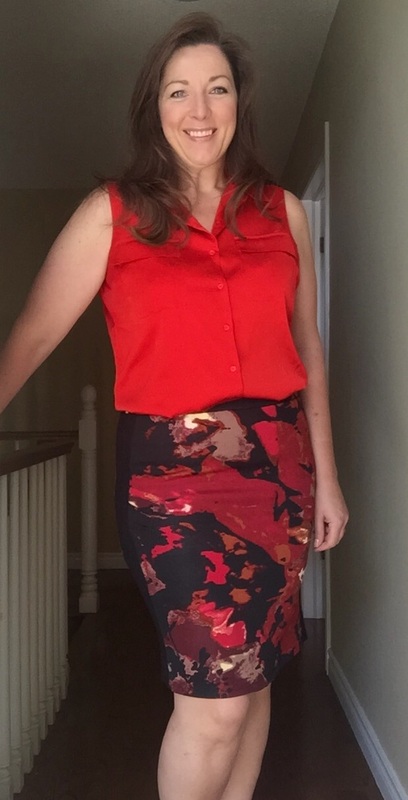 This looks fantastic and ponte is the perfect fabric…..think you could have a good time color blocking this skirt for fall……love it on you….show off your curves! Good Job! Thank you Laura. I agree with you on the colour blocking – this pattern lends itself well to using up smaller pieces of knit that you might have in your stash. Yes you must! These ones were ordered from their ETSY store and I printed them. However there are a couple of new ones on their website that I am going to order and have shipped.